Exceptional Care Creates Exceptional Smiles! Our smiles are how we greet the world: they are how we express our inner selves, engage others, and create a lasting impression. When we know our teeth are healthy and straight, our self-esteem blossoms and we’re more open and approachable; our confidence shines bright and we’re happier and healthier. At Howell Orthodontics, we understand the power of an incredible smile. Every day, Dr. Emily Howell and our team members are privileged to watch our patients transform as they see the changes in their appearance! What makes us different from other orthodontic practices? We treat every patient like family, showing genuine respect to all! Ours is a practice that stands apart. Rather than a cookie-cutter, high-volume approach to care, here, we make you our top priority! We respect your time in scheduling appointments, are understanding when appointments sometimes need to be moved based on your ever-changing schedule, and maintain a practice that is on time. In addition, we work with each family on payments and deal fairly with individuals who have unforeseen hardships arise. No cookie-cutter treatment plans here! Dr. Howell provides ethical, honest recommendations and will not suggest care if she doesn’t think it’s needed. If she does feel it’s appropriate, then she recommends a conservative approach, as she’d treat her own family. This ensures the most efficient, comfortable experience and most incredible, lasting results! Because Howell Orthodontics is an independent practice with a single doctor who is always here to see and treat each patient, we’re able to provide a truly customized orthodontic transformation. We’ll be by your side throughout treatment, supporting and encouraging you, teaching you about your oral health, and making sure your visits are productive. There are no high-pressure sales tactics at Howell Orthodontics! ​Dr. Howell will never suggest something she would not suggest for her own family members, and she will always offer more than one option if there is one for a particular patient. The initial exam with Dr. Howell is completely complimentary and with no pressure to start anything, rather it is a time to get to know each other, to determine if and when orthodontic treatment is needed, and to discuss what payment options are available to meet the family's budgetary needs. We pride ourselves in providing for each patient a plan, both for treatment and for payment that is customized and fair. We love giving back both to the community and to our patients! Through our program Serve Save Smile, EVERY patient is given the opportunity to volunteer in the Jackson County community and earn $10.00 for every hour served at a non-profit organization, up to $500.00 off orthodontic treatment! We have given back over $80,000.00 to date in treatment fees for patients who served in this way. In addition, our Give A Grin program annually awards an underprivileged Jackson County middle schooler a completely free set of braces. While we cannot possibly help everyone who is in need of braces and cannot afford it, these recipients each year have warmed our hearts in gratitude and in their tremendous increase of confidence and self-esteem. We thrive on relationships and making your orthodontic journey a meaningful one that's even more rewarding than just getting straight teeth! 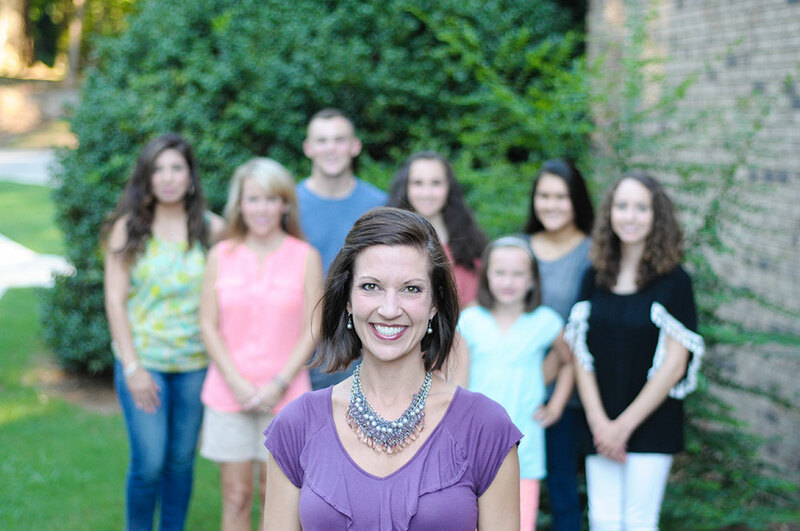 ​Our team motto is "Sharing God's love through exceptional orthodontics!" We feel that we have been placed in this practice for a greater purpose, to share the love of God in all we do. One of the best things about working in orthodontics is that we have time to develop real relationships. We’ll look forward to your visits as time spent with a friend: we hope you feel the same! Please contact our Jefferson, GA family-friendly orthodontic office and schedule your consultation, today. We can’t wait to welcome you to our family and start building a friendship!